Pensacola, Destin, Ft. Walton Beach and Navarre are just a few of the beach communities that line the Emerald Coast, an area known for its mouthwatering seafood, gentle surf and sugar-sand beaches. Dotting the beaches of Santa Rosa Boulevard in Ft. Walton Beach, the region's largest city, you'll find inviting resorts, restaurants and bars. 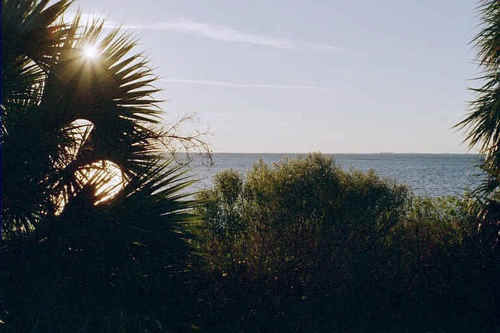 Navarre is loved for its serene beauty. Cozy Destin has a reputation as the "World's Luckiest Fishing Village," and houses the state's largest charter fishing fleet and world-renowned deep sea fishing. If you’d rather shop, Destin houses everything from huge outlet centers to quaint boutiques, and the town is also home to a number of four-star restaurants. If you prefer a more laid back lifestyle, you may want to consider the Forgotten Coast. You may not remember hearing about Florida’s Forgotten Coast, but we’ll bet once you’ve been here, you won’t forget it! The Forgotten Coast of Florida lies along the Panhandle. Encompassing beach and fishing towns like Mexico Beach and St. Joe Beach, our little neck of the woods includes the City of Apalachicola and continues to the St. Marks Lighthouse and nature preserve. This portion of Old Florida was indeed "forgotten" during the period when much of North Florida's coastline was developed... and then over-developed. Today what has been preserved is much more precious to the Forgotten Coast than housing developments and strip malls; we’ll take our pristine bays, sugar white beaches, coastal marshlands, and barrier islands with amazing dune formations any day!